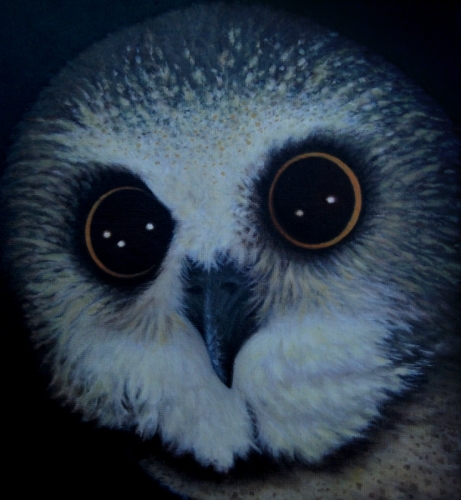 The series was hatched with this species, created from a palette of left over paint. 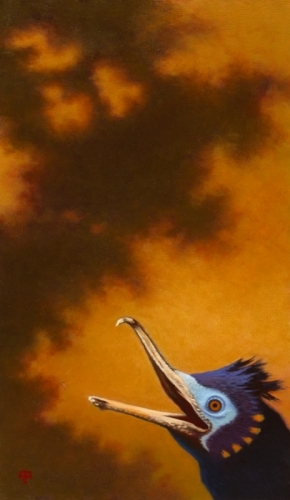 This bird is fond of water and was originally discovered on Hanna Creek in the Black Hills of South Dakota. One of my favorite portraits from this series. 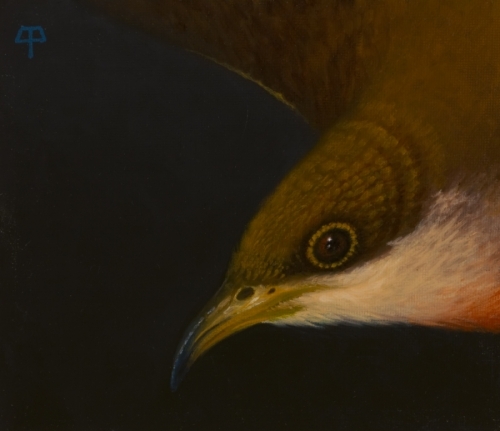 Little is known about this secretive and strange bird of the evening. 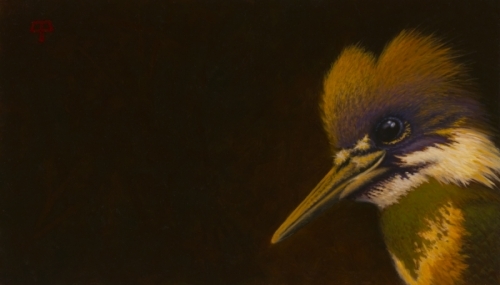 An original portrait of a bird that rarely leaves the dark recesses of dense spruce forest. An original oil portrait of clownish diver that pricks at small fish and the humor of all those that view it. 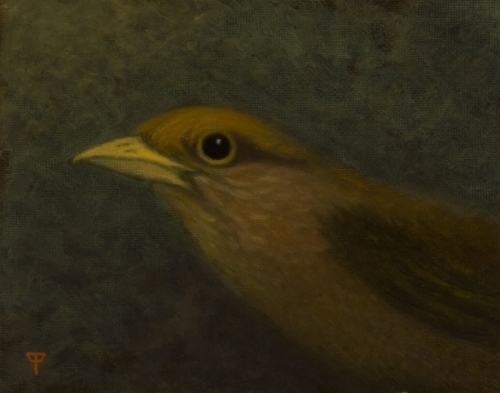 An original oil of a common warbler species of eastern deciduous forest. These birds frequent small stands of aspen and birch, scouring the trunks for insects.